So, how can YOU reinvent yourself, or your business? Do you take time to do this regularly, or do you prefer to stay the course? How have you cut yourself, or your business, out of stone? Share with us in the comments below, or tag us on social media with #ThinkCreateReflect! This week I finished up a project that had been hanging out on my needles since September of last year. Knitting this top was a bit of a slog (oodles and oodles of doing the same thing over and over again), so I gave myself frequent breaks. Sometimes really long ones. But this week I finally finished it! So, why do I plan to frog it, you ask? Well, here’s the thing. In knitting, it’s very important to check your gauge (the number of stitches you’re getting in every inch) and to check that against the desired measurements of your finished piece. I did that repeatedly during this pattern, but somehow I screwed up the math. So the finished top is far too wide, which is NOT a flattering look on me. On top of that I nearly ran out of yarn so I had to knit it shorter than I had planned, so what I’ve got now is a top that fits me badly all over (down to the fact that I don’t even like the neckline!). I could try to take it in on the sides, but it would still be too short and not my favorite top, so I think I’d rather just reuse the yarn on another project another day. You know, sometimes that happens with our handmade creations! You think you’re going to love something (This top is going to be so retro-cool, like something out of my mom’s closet but in a good way! ), and then when you actually finish it you find it’s not what you were hoping for. The important thing, for me, is to just keep knitting, and take these little frogging flops as learning experiences rather than failures. What about you – what has your making taught you this week? We’d love to see! Share it with us in the comments or tag it on social media with #MakersWednesday! 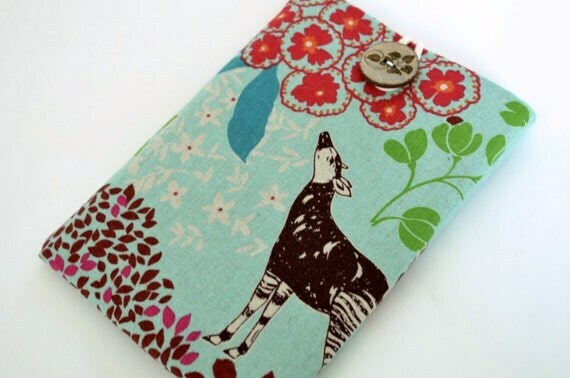 Hello, lovers of handmade! 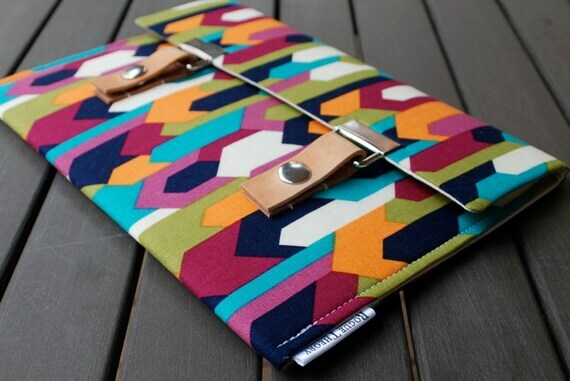 Today we’ve got a round-up of some of our favorite finds in the handmade world – this time, we’re all about cases and cozies for our gadgets and gizmos. Without further ado, let’s get to the gadget (covers)! For your phone, how about this beauty? 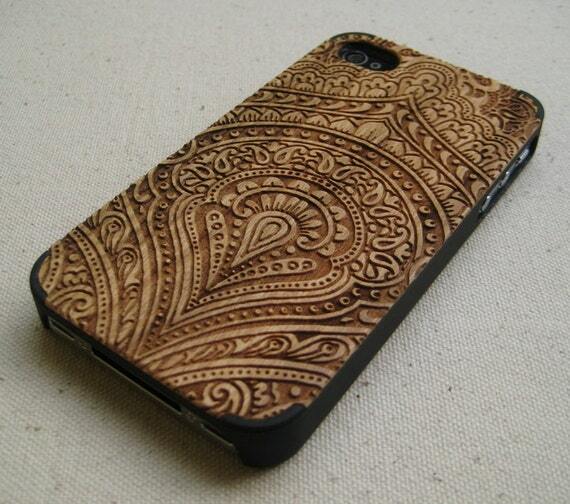 A natural wood iPhone case from Wood Case Depot Plus – swoon! 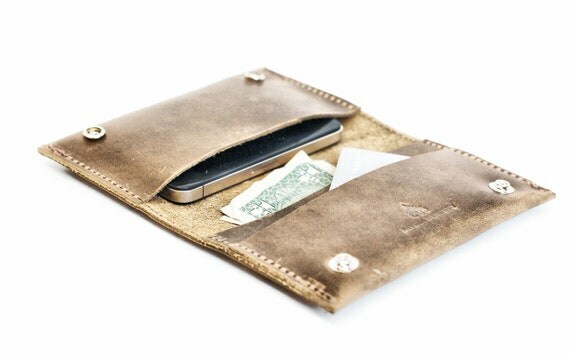 And this distressed leather case from Divina Denuevo would work perfectly for a phone, mp3 player, or other gadget – and it even has room for cash or cards! I especially love that it has masculine appeal for a great guy gift. So, what’s your favorite way to tote gadgets around town? Show them off with a link in the comments below, we’d love to see! Welcome back for another round of #ThinkCreateReflect, where we take a moment out of each busy, crazy week to pause and think – create – or reflect! We’re glad to have you here, and we hope you’ll join us in the comments! Would you like to share your dreams? Post about them on Instagram or Twitter with the tag #ThinkCreateReflect! Welcome back to #MakersWednesday, where we celebrate the creativity in all of us! I’m very curious as to how this is going to play out, but there are still three more clues! So, what crafty mysteries have YOU been solving this week? Leave a comment and tell us about it, or share on social media with the hashtag #MakersWednesday!